For almost 50 years, University Challenge has served as a bastion of general knowledge, regularly testing our finest young minds with a dizzying array of subjects. Now - if you think you're up to the challenge - you can pit your own wits against the trickiest quiz around. 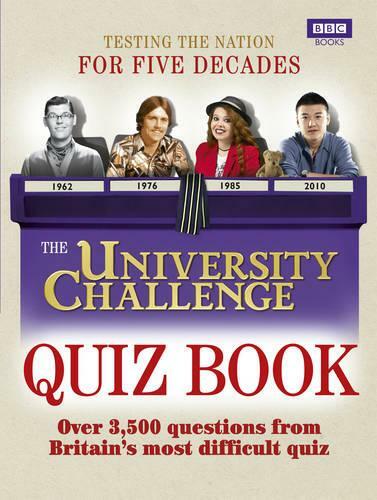 With over 3,500 challenging quiz questions, The University Challenge Quiz Book will probe the murkiest corners of your intellect. Leaving no stone unturned, in-depth questions cover every aspect of history, science, language, economics, culture and more, and will put even the hardiest quiz veteran through their paces. With games to play either on your own or in teams (no conferring), here is a collection to challenge, surprise and stimulate - from your first starter for ten to the final gong. Come on, come on!